Mr. DJ, can you play another song? 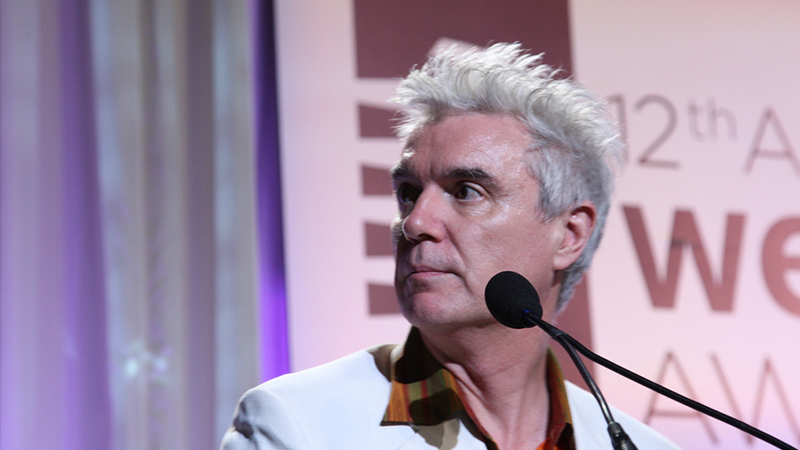 The Webby Awards is thrilled to honor David Byrne for Lifetime Achievement, recognizing Byrne’s vision both artistically and as a pioneer in embracing the spirit of the Internet and technology in the arts. Specifically, through his lifelong career in disseminating music over the Internet, promoting PowerPoint as an artists’ medium, running his own Web-based radio station and a very active personal blog, Byrne serves as a vivid role model for musicians and artists of the future on how to merge culture with technology. His latest outside-the-box project is Playing the Building, in which he will transform a landmark New York City building into a giant, interactive musical instrument.